What a surprise! I am nominated for the 10th JCP Annual Awards. It is especially true since I am following the JCP for a long time now and finally managed to actually contribute by officially joining it. On the one side as a German iJUG representative but also as an individual contributing to Java EE 7 as part of the Expert Group. 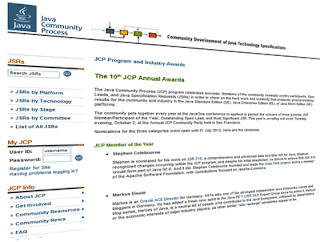 The JCP is the mechanism for developing standard technical specifications for Java technology. 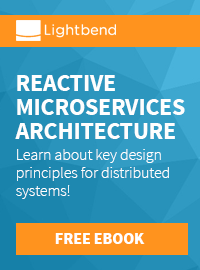 Anyone can register for the site and participate in reviewing and providing feedback for the Java Specification Requests (JSRs), and anyone can sign up to become a JCP Member and then participate on the Expert Group of a JSR or even submit their own JSR Proposals. With no member fee for personal contributors this is an outstanding chance to help shape the future of Java and bring your personal experiences into the standards backing Java. Congratulations to all the nominees! Looking forward meeting you Tuesday evening, October 2, at the Annual JCP Community Party held in San Francisco.